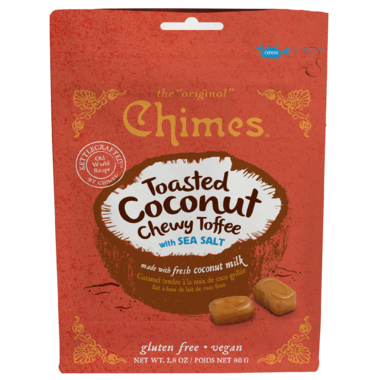 Step into the tropics with Chimes Toasted Coconut Toffees! We take real coconut milk and cook it with caramelized cane sugar to create a toasty toffee that will tango on your tongue! The recipe is a classic from Malaysia, where it’s been a local treat for generations. When you taste it, you’ll see why we still use real coconut milk instead of simply adding coconut flavoring: because there’s no substitute! 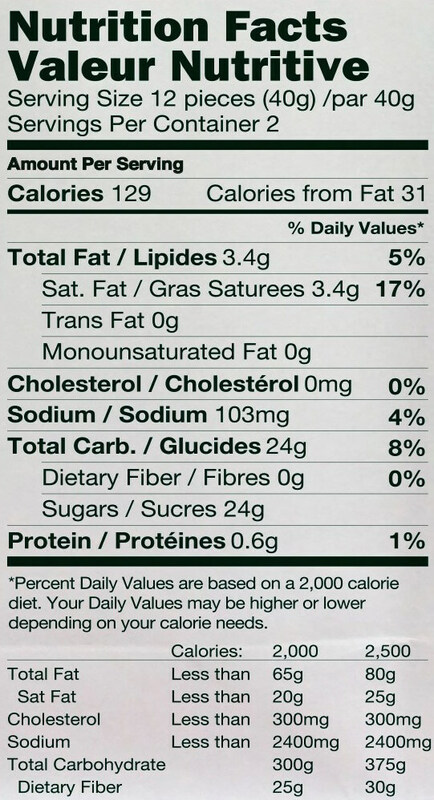 Ingredients: Coconut milk, tapioca glucose, cane sugar, palm oil, sea salt, non-GMO soy lecithin. Gee...they sounded good, but I didn't like them at all....I should have just stuck with my ginger chews ! I wanted to love them more. I love the hard candy ones but these were just lacking. it is difficult to find vegan candy that is tasty. These were my nephews absolute favorites!